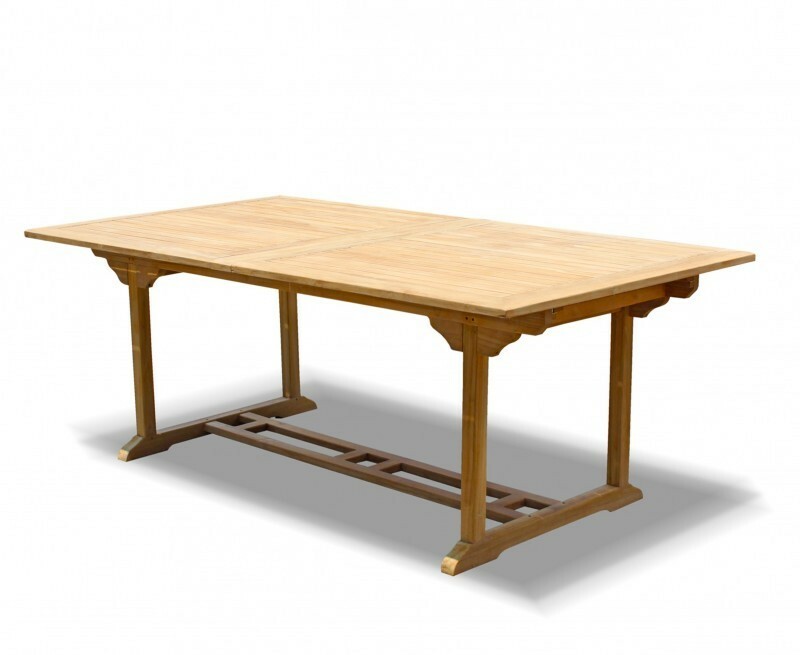 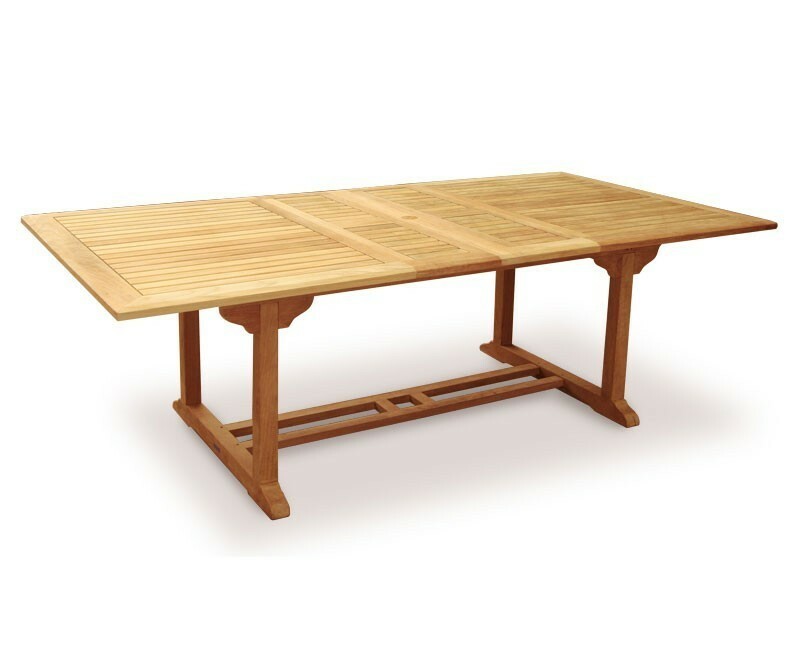 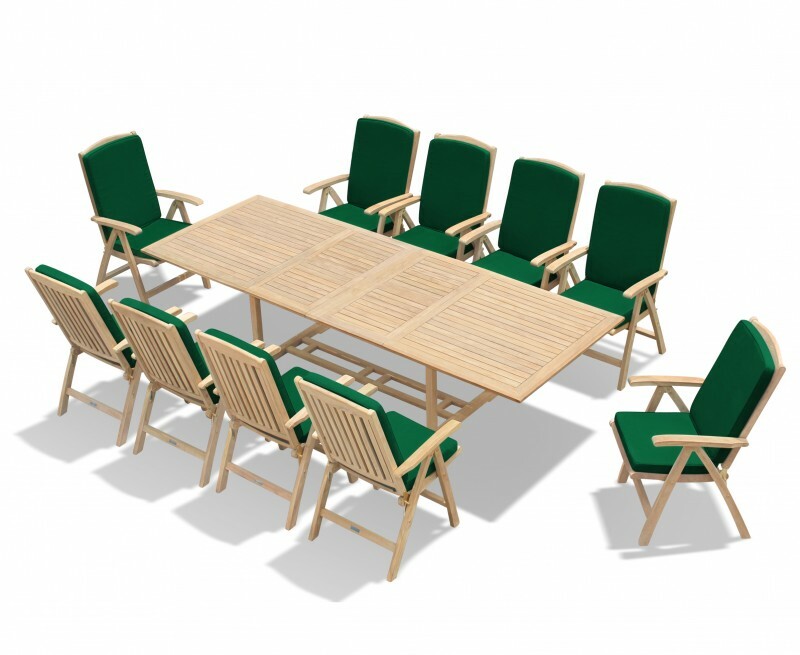 Paired with our stylish Cheltenham recliner chairs, this high end extendable garden table and 10 reclining chairs set extends to accommodate larger gatherings or, when not in use, the table can be contracted and chairs stacked to reclaim space. 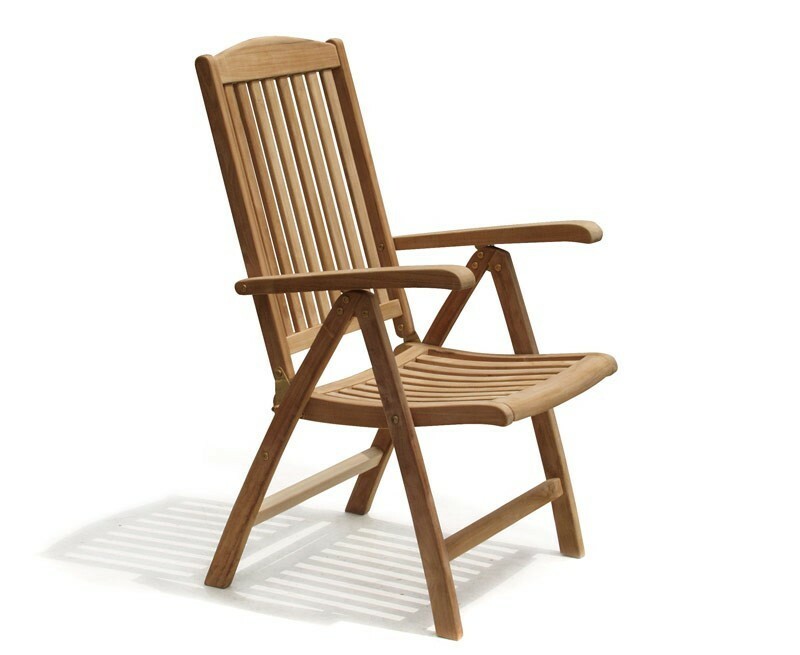 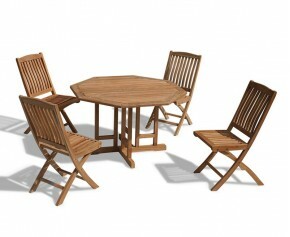 These great outdoor patio furniture sets are made from durable sustainable plantation A-grade teak and can be left outdoors year round. 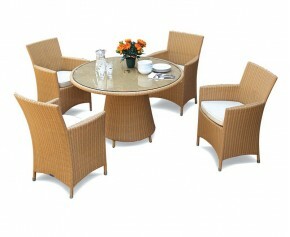 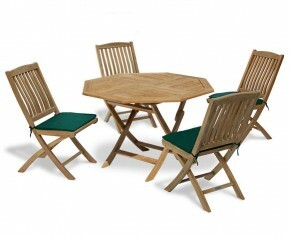 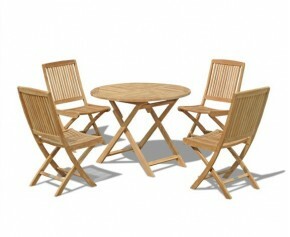 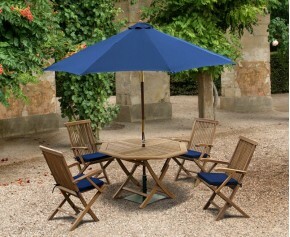 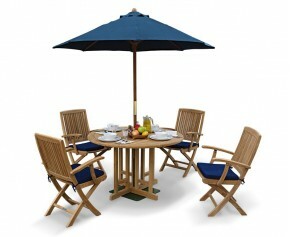 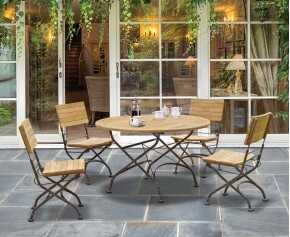 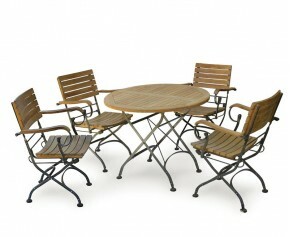 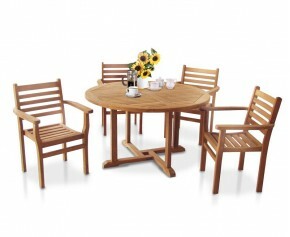 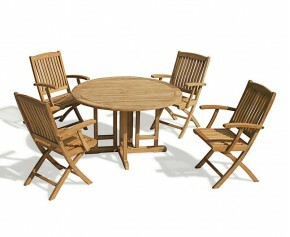 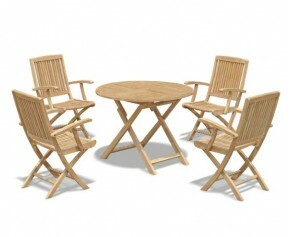 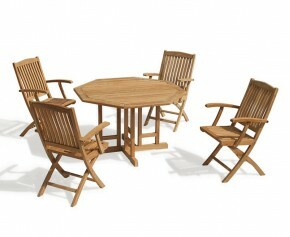 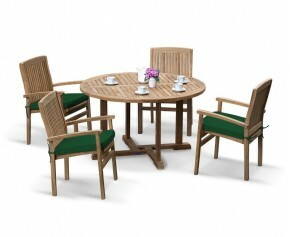 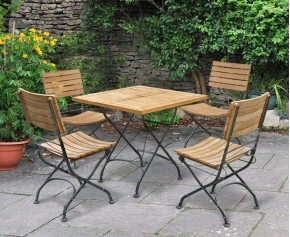 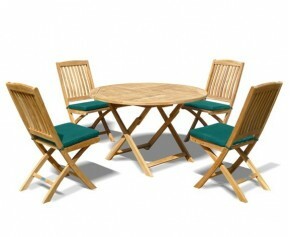 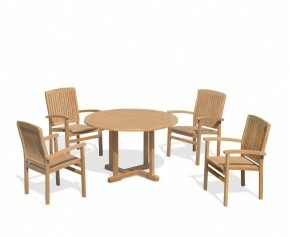 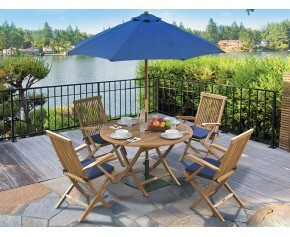 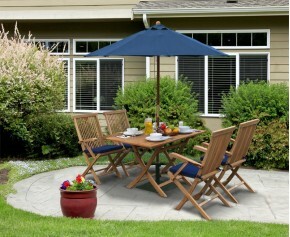 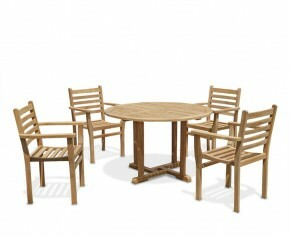 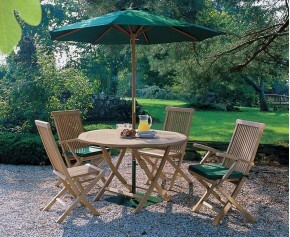 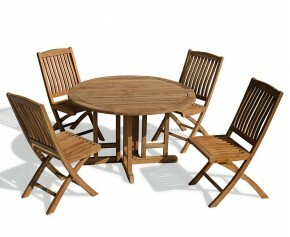 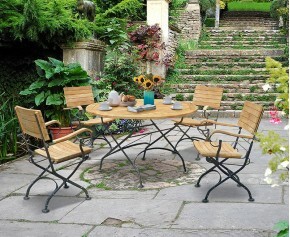 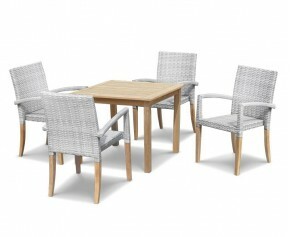 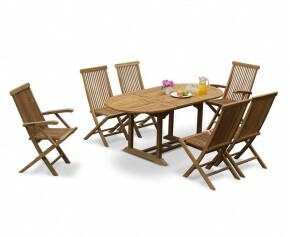 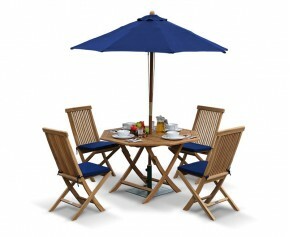 This extendable garden table and 10 reclining chairs set will be delivered pre-assembled for your immediate enjoyment. 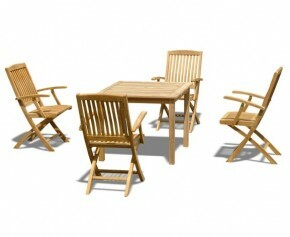 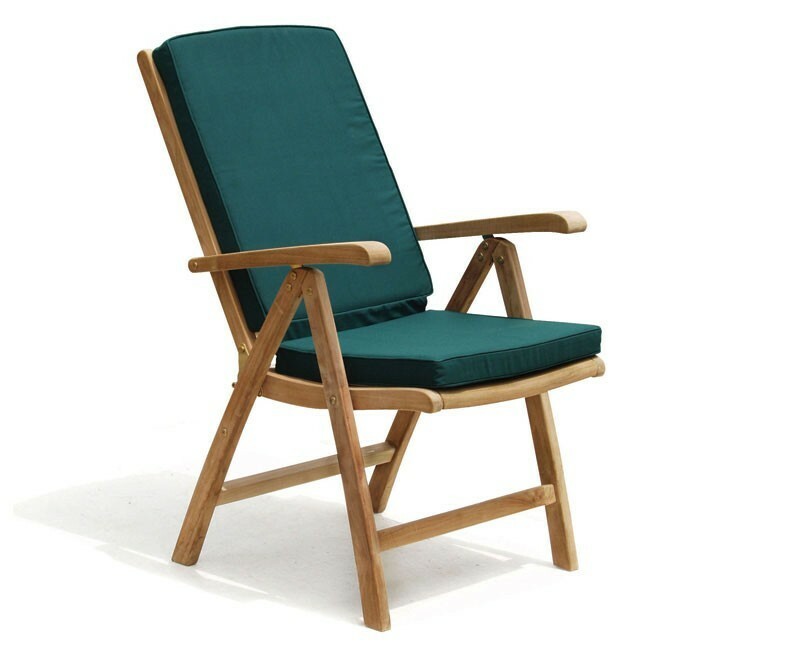 - Chairs fold flat for space-saving convenience | Finely sanded to a smooth finish.